I’m a WARRIOR! 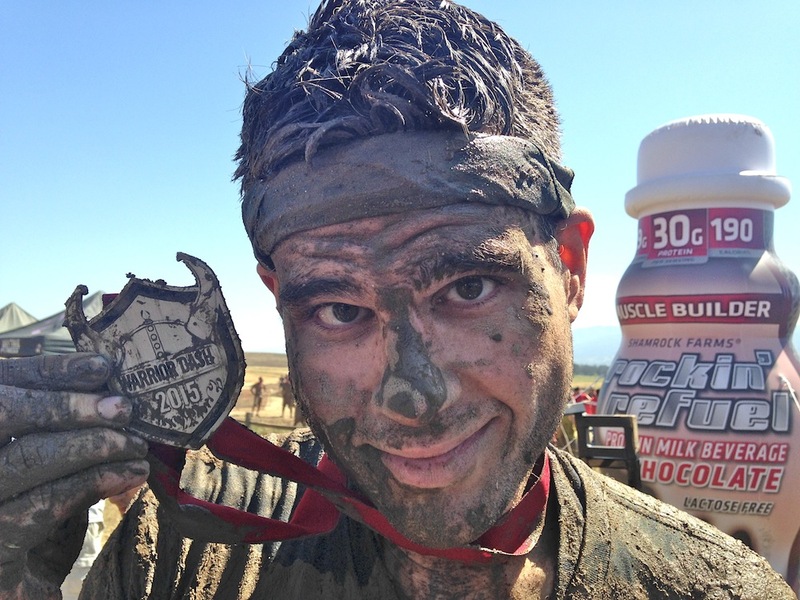 (Warrior Dash 5K Race Recap) | Keep It Up, David! 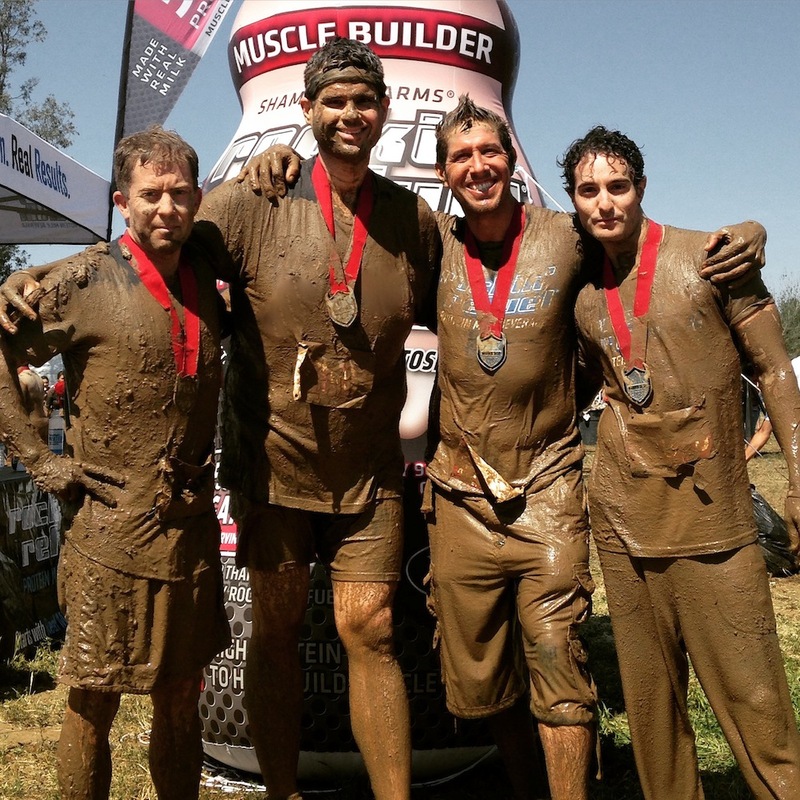 I’ve been hearing about races like these for years, but I’ve always been intimidated by them, because I had heard that the obstacles always included some sort of wall climbing or monkey bar situation, and I don’t have great upper body strength. I didn’t think I was strong enough to complete the course, so I’ve never signed up. Then, about a month ago, the folks at Rockin’ Refuel reached out and offered to sponsor me and some friends. I was already familiar with Rockin’ Refuel – it’s a milk protein beverage that I’ve enjoyed in the past – and if they thought I could do it, why didn’t I? So I rallied up a few friends, and we headed out to a park in the suburbs for the big race. 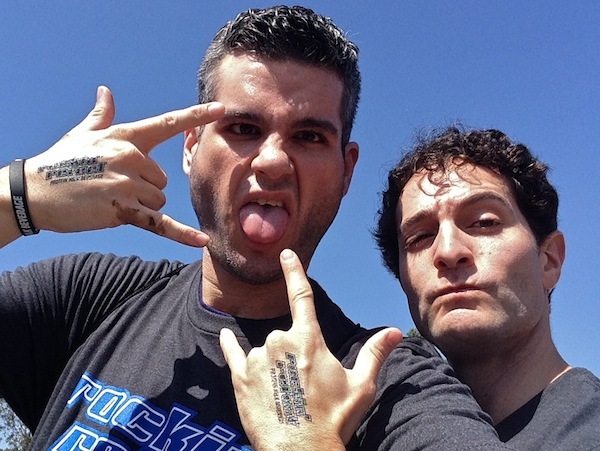 Tavi and I even rocked Rockin’ Refuel temporary tattoos. At least they’re supposed to be temporary. Mine hasn’t come off yet. Here’s the skinny on Rockin’ Refuel. 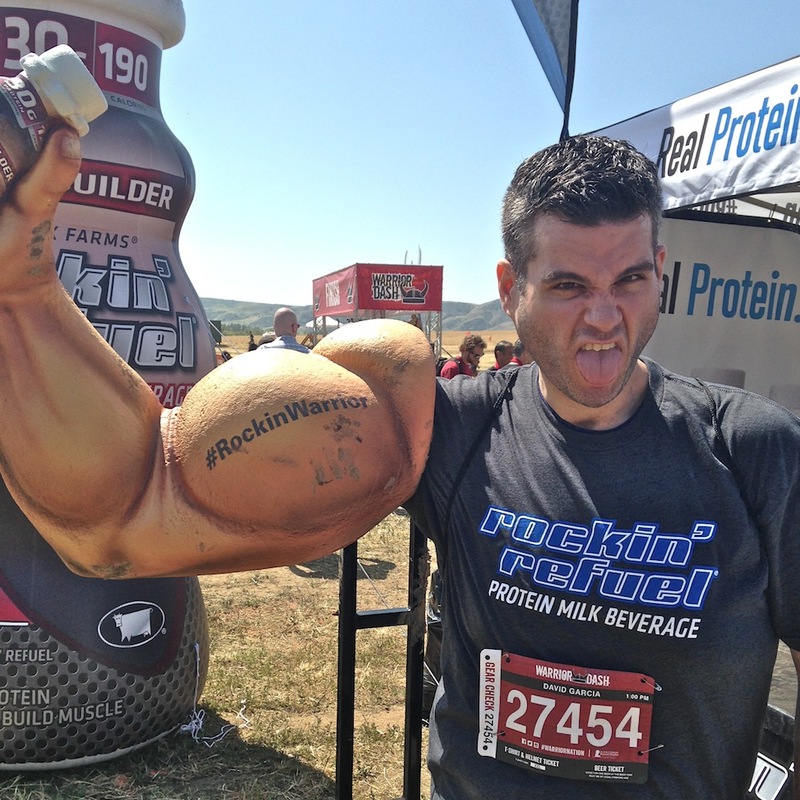 Rockin’ Refuel is a milk protein beverage packed with high quality protein and made with real milk. Rockin’ Refuel is available in great tasting flavor varieties and is a healthy, natural source of protein. Rockin’ Refuel’s product portfolio offers a variety of protein beverages for any type of athlete with the Muscle Recovery (20 grams of high quality protein with 2:1 Carb to Protein ratio for optimal muscle recovery after intense training and exercise), Muscle Builder (30 grams of High Quality Protein with only 9 grams of net carbs and 190 calories to help build muscles) and more. Both the Muscle Recovery and Muscle Builder are also available in “Lean” varieties. In southern California, you can find them at Ralphs, Vons, Sprouts, Fresh & Easy, 7-11, Chevron, Shell and United Oil. Visit their website to see the complete product portfolio and learn more. The race itself is a big affair. There were a couple hundred racers taking off in heats every 15 minutes for most of the morning and early afternoon. 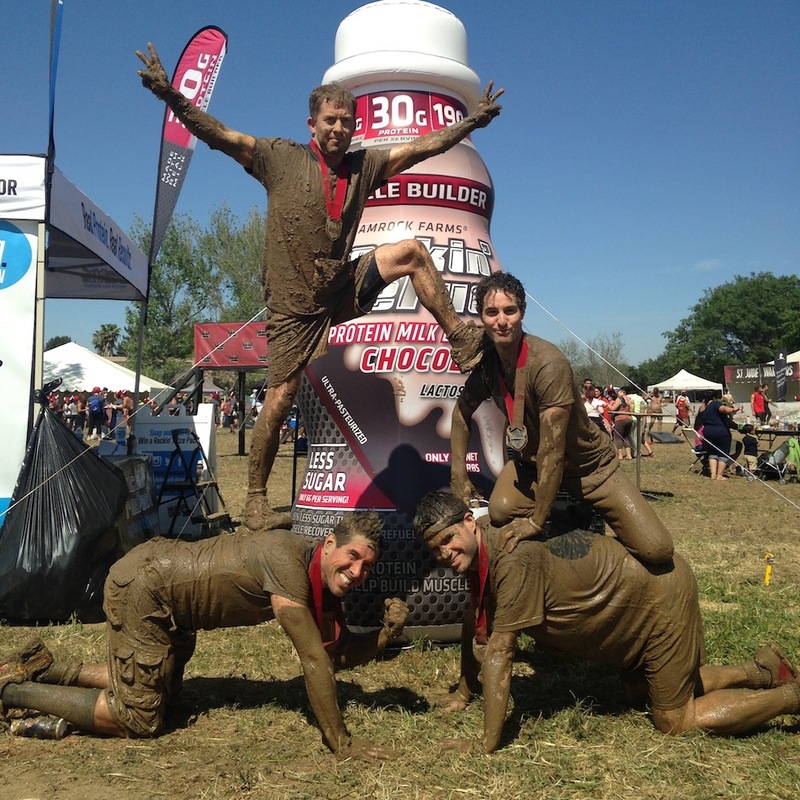 I purposefully didn’t research the Warrior Dash obstacles, because I wanted to be surprised on the course. Plus, if there were upper-body-strength-dependent obstacles, I didn’t want to stew over them or worry or psych myself out. 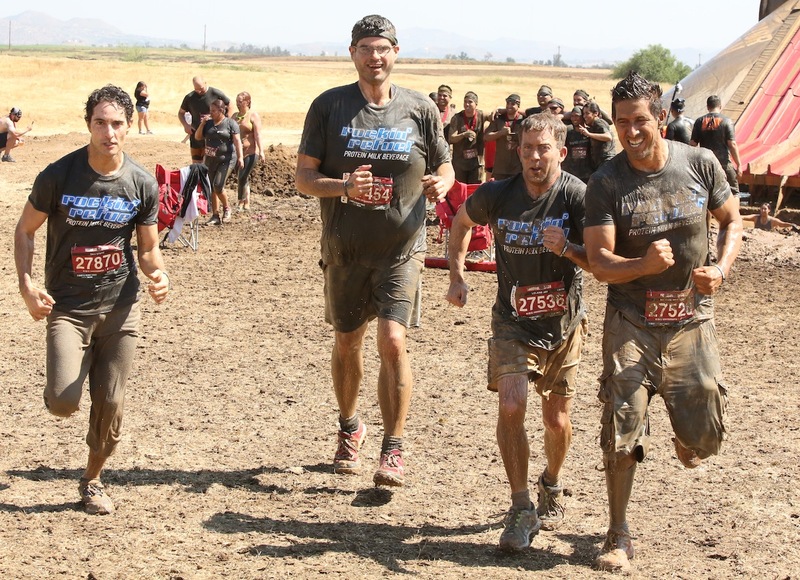 The four of us were in the 1pm heat, and we more or less ran the whole race together, so we could help each other at obstacles, if needed, or at least cheer each other on. 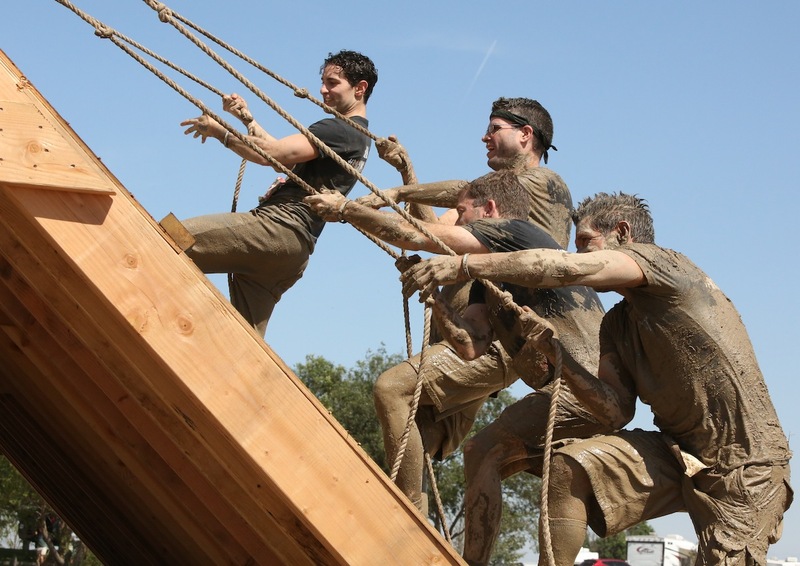 Most of the obstacles were later, so the first task was to get most of the running out of the way. The course was a little hilly and uneven, since we were running on trails in a big park, and I was mindful to watch where I was going. I haven’t done a 5K race since last Thanksgiving, and I was thankful all my stair racing has kept me in shape! The first obstacle involved crawling in dirt under rows of barbed wire, and I came out unscathed, except for snagging a hole in the back of my shirt. Then came jumping over low walls, ducking under high hurdles, and crawling under a big tarp. There were other obstacles on the easy side – like crossing a narrow river or climbing over a jungle gym-type apparatus, but my heart skipped a beat when my biggest fear appeared around the corner: a big tall wall that you had to climb over. I’d peg the wall at about 10-12 feet high, and there were a bunch of ropes you could use to pull yourself up. When I got closer, I realized there were occasional tiny ledges for your toes, and I relaxed a little, because that meant it wouldn’t be all upper body. Maybe this wouldn’t be so difficult after all. I didn’t think about strategy. I just climbed, and I made it up faster than I expected. Climbing over the top proved to be harder than the climb itself, but Nandor was up there advising me on where to put my feet when I couldn’t see it for myself. 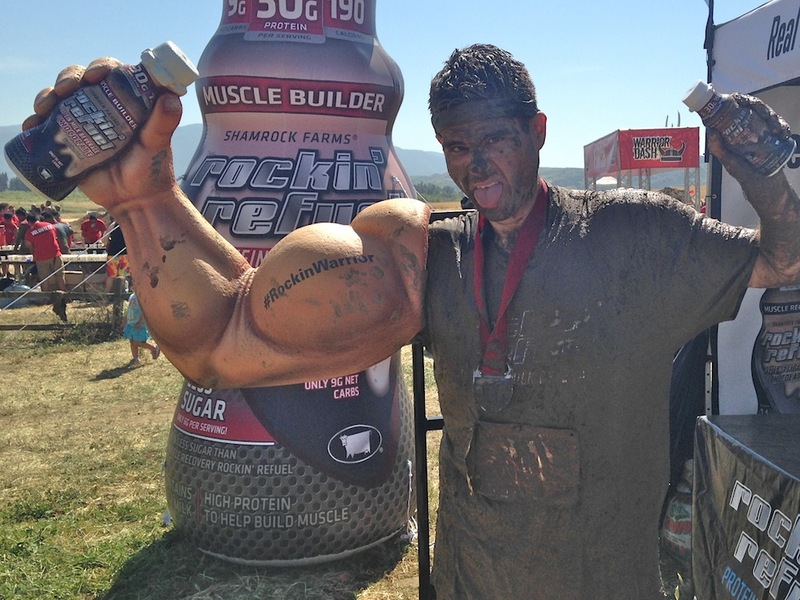 With that wall behind me, I was ready for anything, and that’s when the muddy fun began. There were mud pits you had to jump into and climb out of. A nylon strap you had to walk, like a balance beam, while mud rained down on you. It was unbelievably fun! 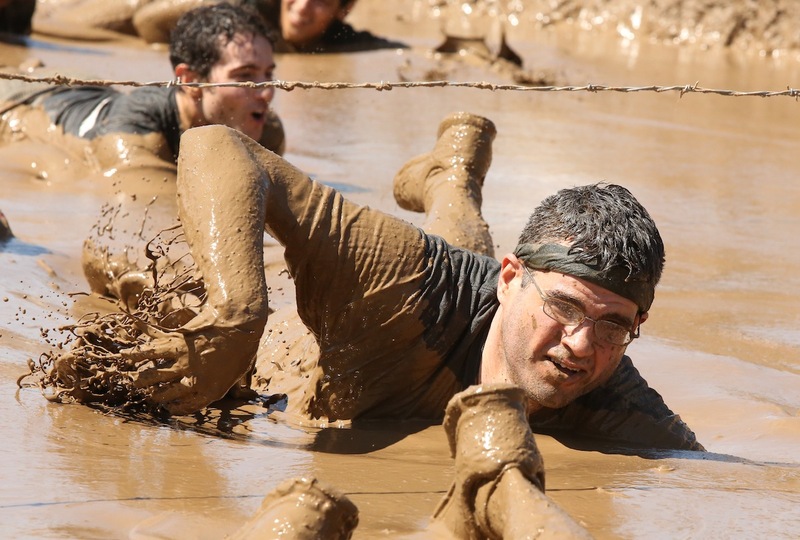 There were also non-mud challenges too, like cargo nets and angled wall climbing. 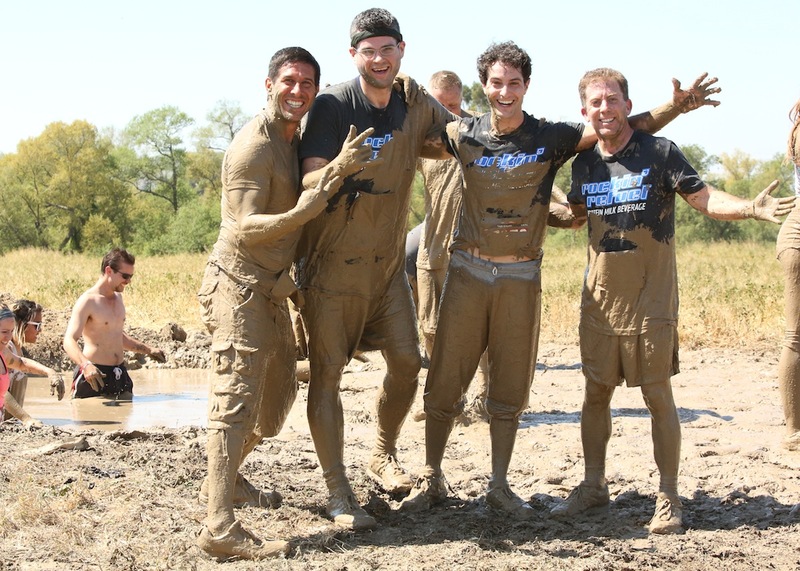 After the first mud challenge, which was jumping in and climbing out of mud pools. Climbing across a cargo net strung 10 feet off the ground. Waiting for our turn to start another obstacle. All four of us pulling climbing an incline to get to the top of the slide. Guess where this slide led? A muddy pool. I’m on the far left, then Tavi, Leland, and Nandor. Finishing strong. One more obstacle! That’s real barbed wire we had to get under – about 10 strands of it! The race wasn’t timed, but I figured we got through it in about 40-45 minutes. 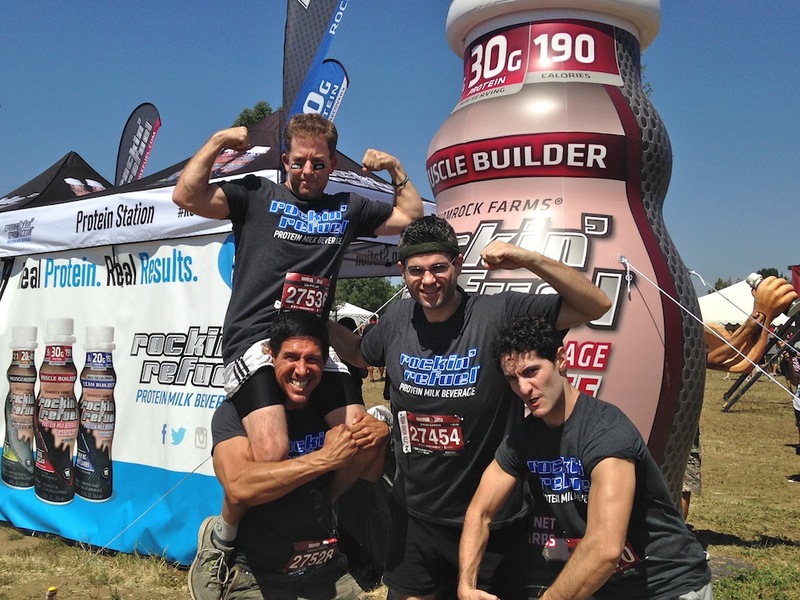 After we crossed the finish line, we drank a bottle of Rockin’ Refuel (it hit the spot!) and had some fun by their booth. We were a couple people shy of making a true human pyramid, but we did our best! They had showers set up, so you could wash off before getting back in the car, but the lines were long and moving slowly, so we all jumped in the lake for a swim. They also had a place to donate shoes to people in need, and I donated my Reeboks to the cause. 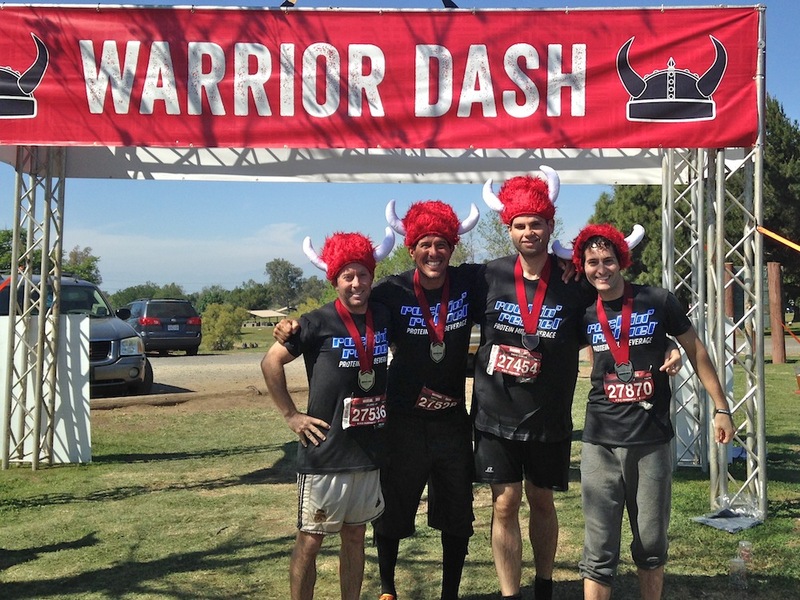 Another fun prize for finishers was the Warrior Dash red fuzzy Viking helmet, which we picked up after we got out of the lake. 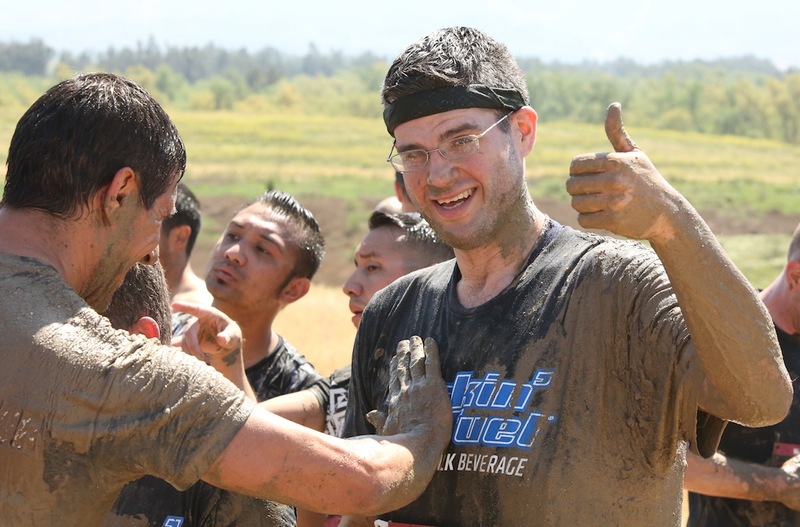 All in all, it was one of the most fun events I’ve done, and I’m thankful that Rockin’ Refuel made it happen. 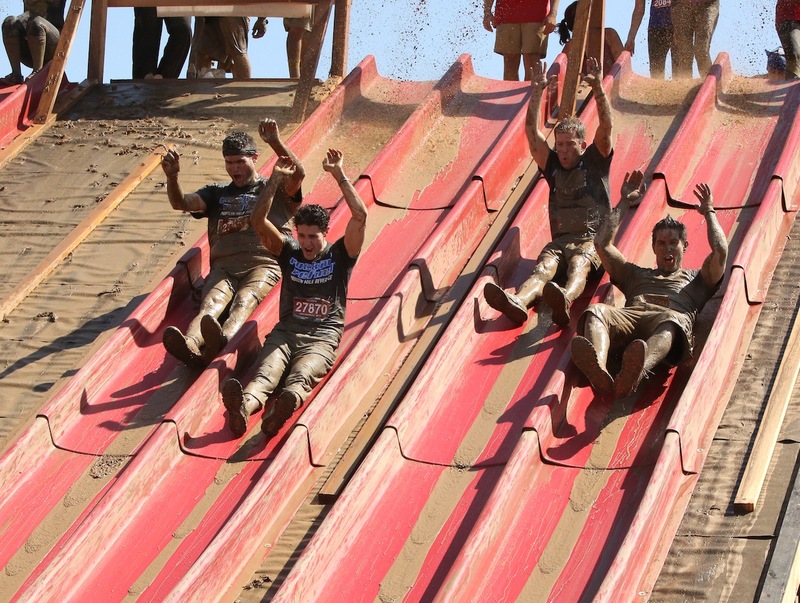 If this looks fun to you, then check the Warrior Dash website – they have races all over the country! Most of all, I glad I did this race because it served as a nice reminder for me to stop doubting myself. 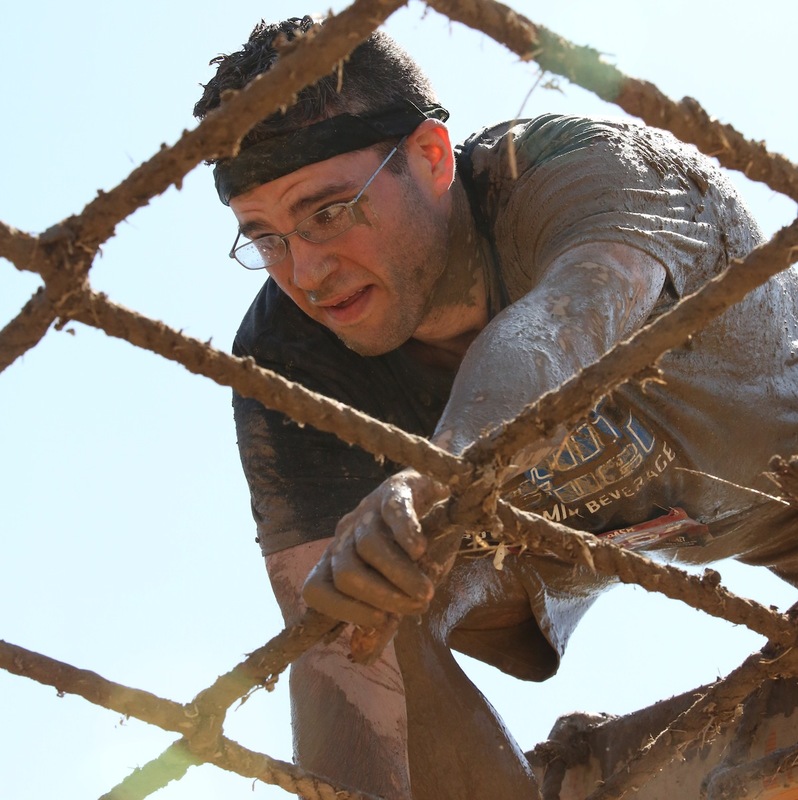 I didn’t think I had it in me to complete an obstacle course race, but I did. I’m more capable than I think I am. I’m stronger than I think I am. This entry was posted on Wednesday, March 25th, 2015 at 12:51 am and is filed under Uncategorized. You can follow any responses to this entry through the RSS 2.0 feed. You can leave a response, or trackback from your own site. Looks and sounds like you all had a Rockin’ good time! Amazing! I want to get one of those done too! Check out my blog! Thanks. And I’ll check it out!